If you sneeze with your eyes open will your eyeballs fall out? This question was asked by Albatross class at Swiss Gardens Primary School, Shoreham, UK. 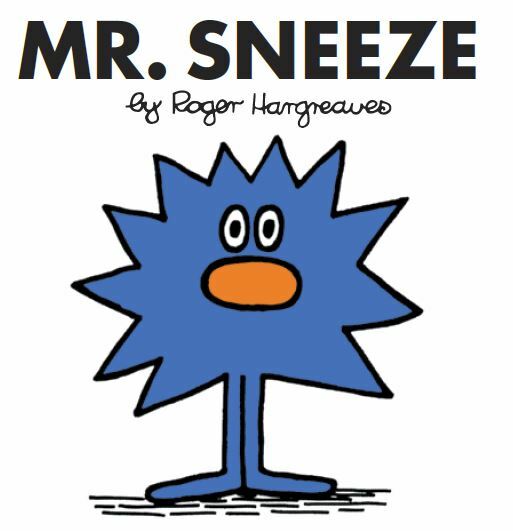 Mr Sneeze, one of the famous Mr Men characters. Sneezing is a protective action; it’s your body’s way of removing irritants, including dust, pollen, pet hair and many other potential allergens, from inside the nose. You might sneeze more often when you have a cold or the flu because the delicate membranes inside the nose are swollen and more sensitive to these irritants. Roughly 1 in every 3 people sneezes when they suddenly encounter a bright light like sunshine; this is called photic sneezing. When the nose senses a tickling sensation it sends a message along the nerves to part of the brain called the medulla. The medulla then triggers the sneezing mechanism in your body. The lungs fill with air, while the diaphragm and muscles at the back of the throat get tighter; then the stomach and chest muscles become tighter too. This process propels a mixture of saliva and mucus out of the body through the nose and mouth at up to 100 miles an hour! And that’s how a sneeze happens. Incidentally, you’re unlikely to do yourself any real harm if you try to stifle a sneeze but it has been known to occasionally cause broken blood vessels and the like. 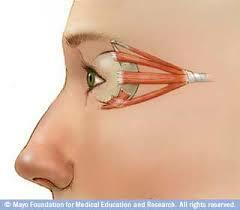 Here you can see the muscles that attach your eyeball to your skull. 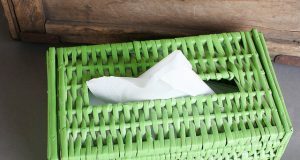 It’s not unusual for you to sneeze 2 or 3 times in a row, as the irritants in the nose are sometimes hard to get rid of. The record for the longest sneezing fit ever recorded goes to Donna Griffiths, in the UK. She began sneezing on the 13th January 1981 and didn’t stop until the 16th September 1983; it’s estimated that she sneezed more than a million times in just the first year! 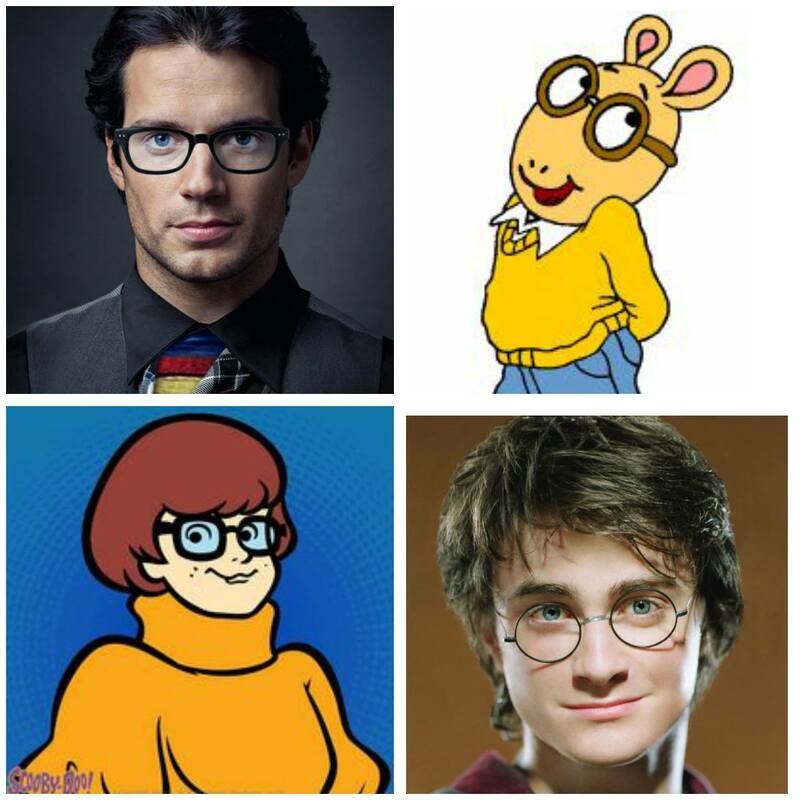 How do glasses improve your vision?